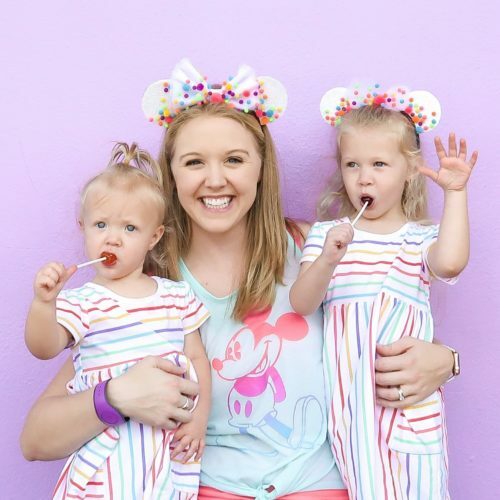 I love the darling summer hat trend, but after seeing the price tag I just couldn’t imagine spending that much money on a hat to wear to the beach. So like any crafty mama, I set out to make my own. 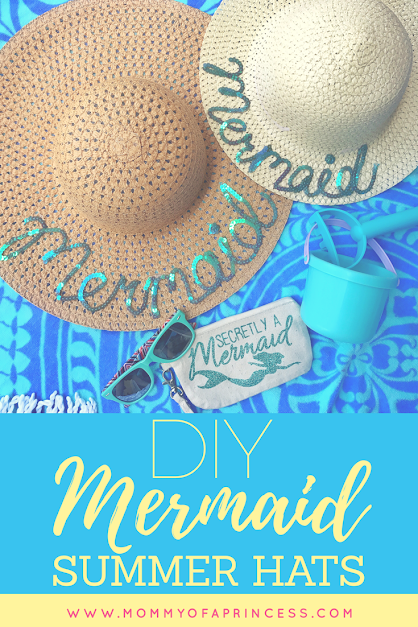 I made both of these matching Mommy and Me Mermaid Summer Hats for less than $5, that’s right TWO hats for less than $5, and here’s how! The large adult sun hat came from Wal-Mart for $3. They also had black and white color variations. I purchased the kid sized hat at the Dollar Tree. The sequin trim also came from the Dollar Tree and one roll was just enough to do both hats. If you’re doing multiple words you may need to purchase additional rolls. They had tons of color options including hot pink and this beautiful iridescent blue. The secret to getting the sequin trim to stay is HOT GLUE, but make sure you use the high temperature setting. While you can also sew it on, the hot glue method is so much faster and easier for application. I used a pencil to trace out the way I wanted the writing. This enabled me to ‘erase’ if needed and wasn’t visible once the trim was glued on. The project took a little over 15 minutes (and that’s probably because I’m a little OCD). 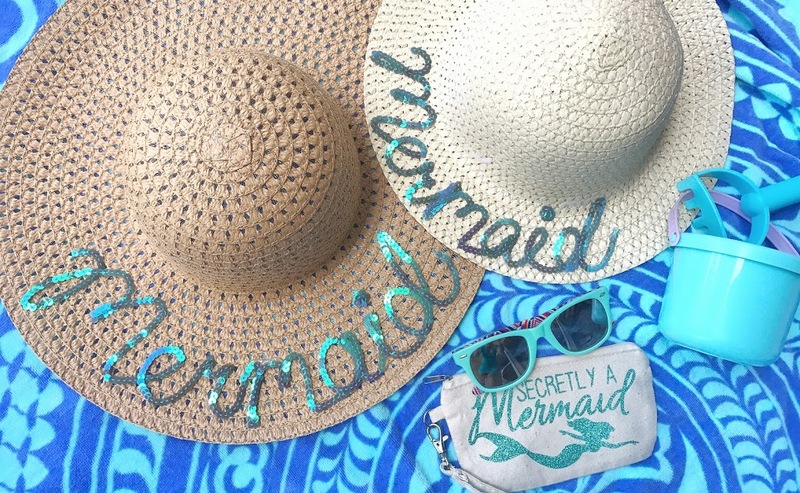 I love the end result and can’t wait to wear our new mermaid summer hats to the beach and pool this summer. So cool! So making these! Can’t wait! I’ll tag you after I do!